Google's DeepMind project has mostly focused on solving high-minded computer intelligence issues. Today, though, it's tackling something far more practical in the short-term: health care. The new DeepMind Health initiative relies on smart mobile apps to deliver medical data to doctors and nurses in time to save lives. 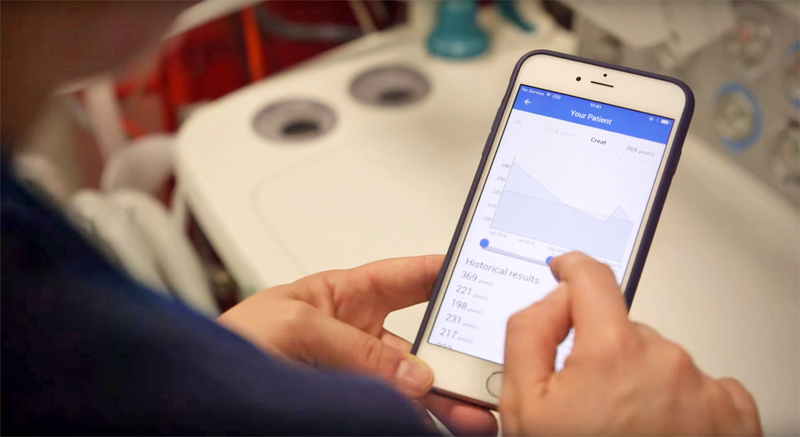 The first app, Streams, helps spot acute kidney injuries that would otherwise go unnoticed. There are also plans to integrate technology from a third-party task management app, Hark, to identify patients that are at risk of deteriorating quickly. The initial DeepMind Health effort is focused on the UK's National Health Service. And despite the name, it doesn't currently use artificial intelligence -- Google is "excited" about the possibility of using AI, but it's not part of these early tests. If everything pans out, though, this could go a long way toward streamlining health info and eliminating the need for archaic tech like fax machines and pagers to make sense of a patient's status. The company that created the iPhone's graphics chip wants to bring its pixel-crunching expertise to dirt-cheap smartphones. 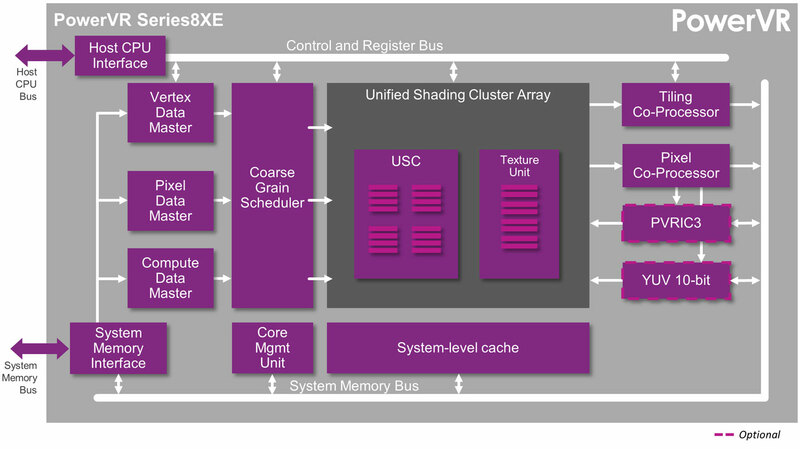 Imagination Technologies is launching the PowerVR 8XE, a new series of chips that offer vastly better graphics for far less cash. The hardware's designed to support the new Vulkan API that promises graphically-intensive mobile games without the usual jerkiness or slowdowns. Imagination's pitch is that rather than just building ever-bigger slices of silicon, it's learning to do a lot more with a lot less. In addition to dirt-cheap smartphones, the chips will be used in cheapie set-top boxes and cars. A more efficient graphics chip is also a smaller one, and smaller chips are often cheaper to manufacture and install. That means Imagination can offer chips with higher resolution and performance for the same price as the current generation. Given that there's so little difference between so many low-end smartphones these days, being able to offer better graphics is a big deal. It's also expected that the VR8XE chip will sip, rather than guzzle, at the smartphone's power reserves. Joe Chen, Co-CEO at MediaTek is pretty excited about the technology, saying that he's "delighted" to be one of the first firms that'll get access to the goodies. Epson debuted the third iteration of its Moverio AR glasses series, dubbed the BT-300, at the Mobile World Conference in Barcelona on Monday. The new smart specs boast completely transparent lenses impregnated with OLED displays, a quad-core Intel Atom X5 processor and the Android 5.1 operating system. 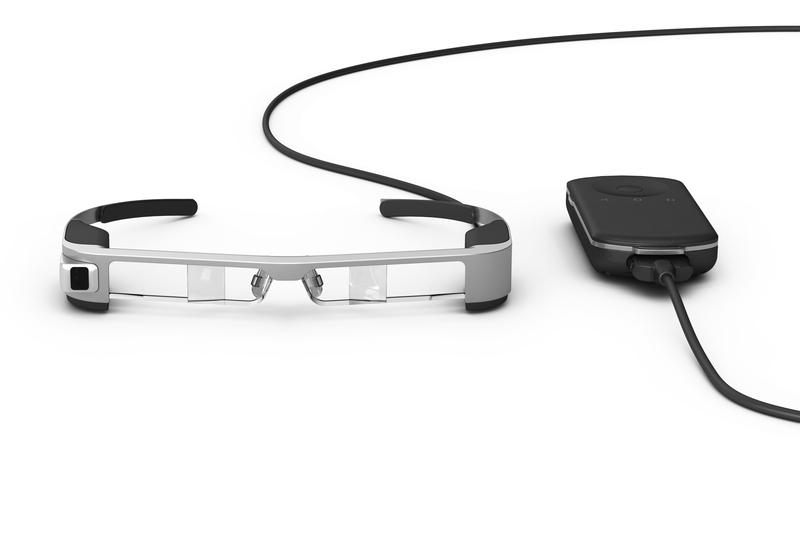 Plus, they weigh 20 percent less than their BT-200 predecessors, making them the world's lightest AR glasses. They're currently available for preorder and are expected to ship later this year. First, the facts. Like plenty of other phones here at the show, the X3 comes loaded with a Snapdragon 820 chipset and 4GB of LPDDR4 RAM, along with 64GB of internal storage. That puts it in the same category as devices like the LG G5, though its dual front-facing speakers (augmented by Bang & Olufsen) could make it a handier media machine. It also sports all the security features your IT department has been clamoring for, two SIM card slots for frequent fliers and a surprisingly nice 5.96-inch Quad HD display. All told, that's a pretty solid package. And from HP! Who knew? Really, though, it's the productivity angle that's most puzzling. The Elite X3 is meant as a business-only machine, sold in fleets to both tiny and corporate IT departments, and the lapdock (technically the "mobile extender") is a way to turn a phone into a full-blown work machine. The extender is supposed to come with a 48Wh battery and a 12.5-inch diagonal screen, along with a full-size keyboard and trackpad. If you're really itching to hunker down and work, there's a dock, too, which basically just lets you route video from the phone to a bigger display for universal apps. I got the chance to play briefly with the phone (the lapdock was just a mock-up) and walked away more confused than anything. Would a mobile professional prefer a proper laptop and smartphone every single time? The notion of having productivity accessories orbiting around a smartphone sun is great and all (especially for small IT departments that would rather not have to deal with managing all those assets), but the fact of the matter is, Continuum sometimes doesn't work reliably enough to make any of this feasible. 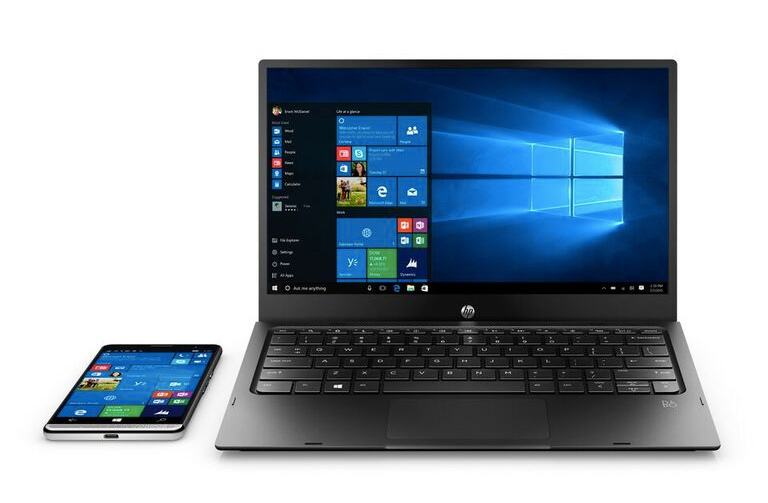 Most of my Continuum experience has been with a Lumia 950 connected straight into a screen with cables — I couldn't get Miracast connectivity to work even with a dongle Microsoft provided, and I'm wondering how many people will experience these same kinds of headaches with HP's wireless lapdock. That's kind of a shame, too, as the Elite X3 is one of the nicer Windows Phones I've come across. It's not as downright fancy as the NuAns Neo, but it's got the horsepower to make some people reconsider the Windows Phone lifestyle. Along with the expected Galaxy S7 and Galaxy S7 Edge, Samsung is also taking the wraps off the a 360-degree video camera, the Gear 360. It's built around two 15-megapixel sensors, each nestled behind a fisheye lens, and also has a tiny 0.5-inch display. You can use it handheld with the included handle, or set it down on a surface with a mini-tripod. In the latter mode, it looks kind of like a Portal Turret had a baby with an old Logitech webcam. In the best way possible. Both the handle and the tripod screw into an industry-standard threaded port (the same that probably graces the underside of your camera), so you can always bring your own accessories to the party. Although it's difficult to rate the resolution of 360-degree video, Samsung says it'll capture 3,840 x 1,920 video at 30 frames per second. That's just a few vertical pixels shy of 4K. 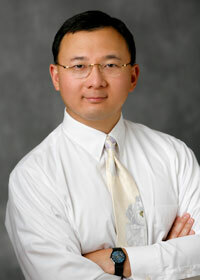 Still images are far larger: 7,776 x 3,888, or 30-megapixels. There's no on-board storage, but it supports MicroSD cards up to 128GB in capacity. While the Gear 360 will output plain MP4s or JPEGs, it's really designed to allow anyone to create video for the company's Gear VR headset. You can sync the camera with a Galaxy S7 or S7 Edge for remote-control features, and you'll also be able to preview footage in real-time on your phone screen. Any videos you take on the 360 will be able to be viewed, stitched, and saved directly to a smartphone. 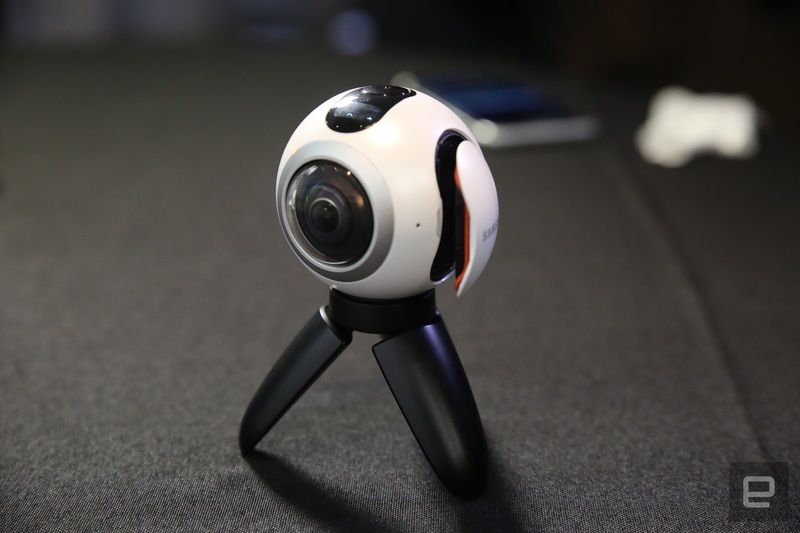 We got to play with the Gear 360 very briefly at a meeting in New York, and while the thing may look like a video game tchotchke, its ease of use is its biggest asset. Popping in the battery and a memory card (just in case) took seconds, and so did pressing the button on top of the sphere to start it all up. After that, you're more-or-less meant to forget about it — Samsung's aiming to capture more meaningful slices of life, ones that wouldn't normally by shot by professional VR rigs, so off-the-cuff usage is encouraged. We even managed to get a short 360 video loaded onto a Galaxy S7 Edge for a bit of auto-stitching — which is faster than it sounds — and wound up with a perfectly serviceable slice of VR. We don't have a price or an exact release date for the Gear 360 yet, but it'll be available in "select countries" at some point between April 1st and June 30th. Lenovo has a bunch of new Windows 10 machines to show off at MWC this year, and if you're familiar with the company's Yoga and Miix lines, they'll seem very familiar. First up is the ultraportable Yoga 710, which comes in 11- and 14-inch sizes. Both have 1080p IPS touch screens, up to 8GB of RAM and up to 256GB SSD storage. The smaller has a choice of Intel Core m processors (up to m5) and integrated Intel graphics, while the larger utilizes 6th-generation Intel Core i processors (up to i7), and up to Nvidia GeForce 940MX graphics. Like all Yogas, the 710's keyboard rotates a full 360 degrees, giving you a choice of laptop mode, stand mode, tent mode, or tablet mode. The 11-inch model starts at $499, while the 14-inch will cost $799. They'll both go on sale this May. 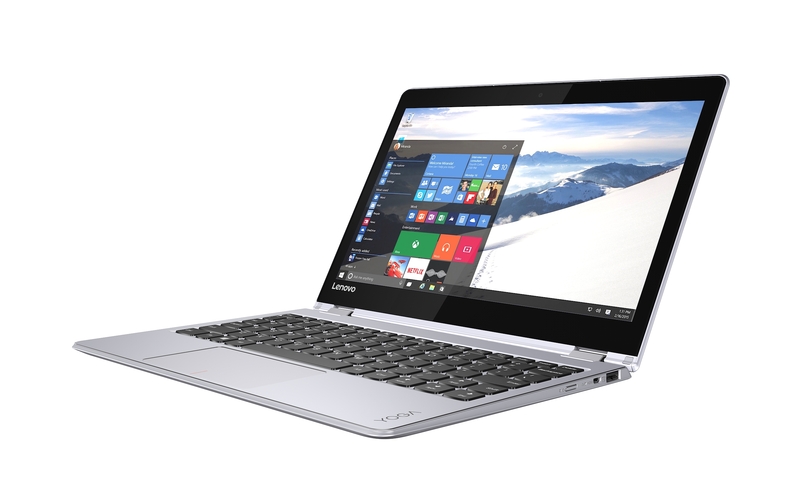 The Flex 4 (called the Yoga 510 internationally) will be available in 14- and 15-inch configurations. It keeps the general Yoga aesthetic, the 1080p displays, the up-to Core i7, 8GB of RAM and 256GB SSD options, but its graphics cap out at an AMD Radeon R7 M460 GPU. It's scheduled for release this April at $599 for the 14-inch, or $699 for the 15-inch. For the super budget-conscious, Lenovo has the MIiix 310, a $229 convertible powered by an Intel Atom X5 8300 CPU with integrated graphics. 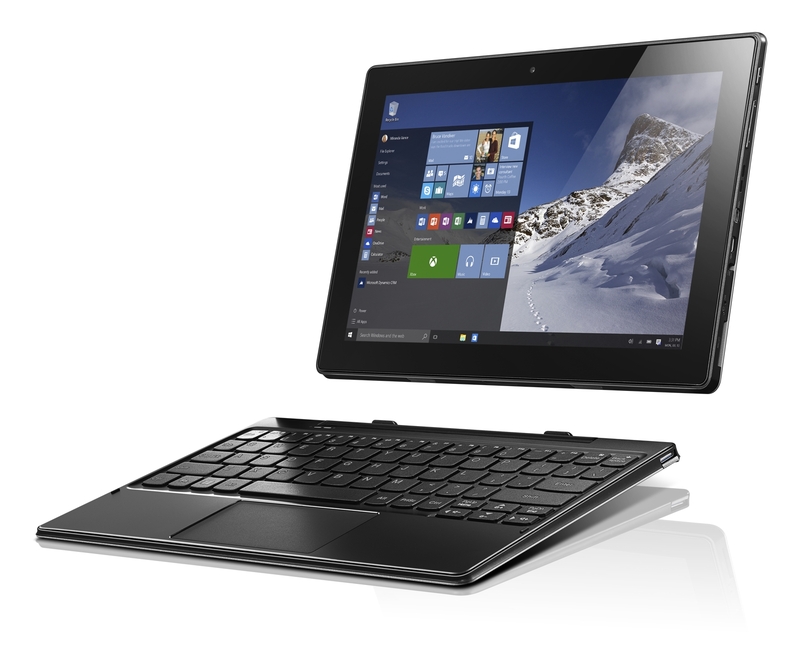 It has a 10.1-inch "up to 1080p" display, "up to" 4GB of RAM, and "up to" 128GB eMMC storage. There'll also be a model with LTE support, but Lenovo's quiet on the price for that configuration. We suspect the exact pricing will become clearer closer to its release date in June.